If you’re looking to connect with a local tourism expert, there are more than 100 community-owned Visitor Centres and booths across the province that make up BC’s Visitor Services Network. Here you can access a wide range of services including personalised trip planning, wayfinding, accommodation reservations, and general information about your destination. Visitor Information Counsellors often extend their services within their communities via mobile or street teams. 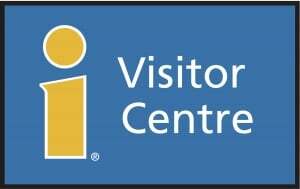 You can locate a Visitor Centre using our directory below, and during your travels look for the distinctive blue-and-yellow logo. You can also reach out to us any time on social media for information to help you plan your perfect BC getaway. 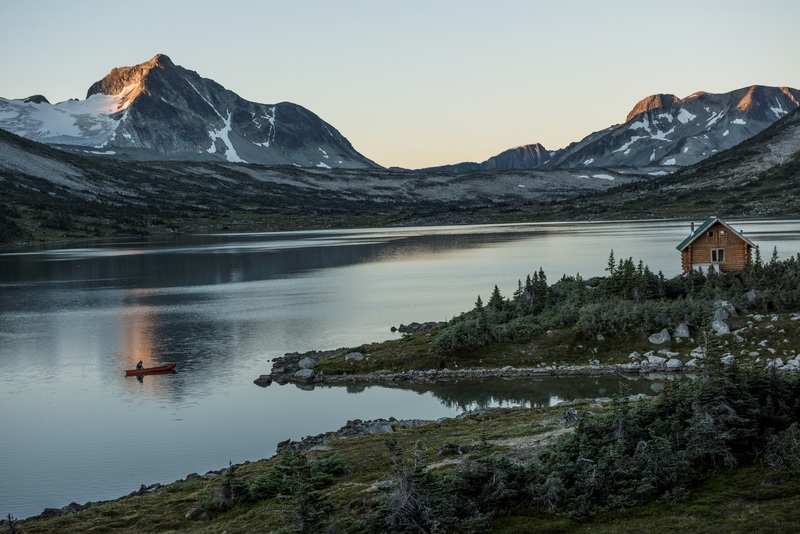 Contact us at @hellobc, and don’t forget to use the hashtag #exploreBC. The Creston Valley Visitor Centre is located in downtown Creston next to the historic grain elevators. The Visitor Centre is a wifi hotspot and is wheelchair accessible. The Creston Valley – Kootenay Lake region is a great destination for foodies, family fun and rural adventurers. Trail, BC is located in the beautiful West Kootenay region of the southern BC interior. Nestled between the Monashee and Selkirk Mountains, Trail sits on the banks of the mighty Columbia River. Tourism PG warmly welcomes visitors and helps provide them with the best possible experience during their stay in Prince George. We are located along Highway 16 on the edge of downtown. Allow the knowledgeable staff to share with you why Prince George embodies the perfect balance of urban and wild, and how you can experience that for yourself. The Visitor Centre is brimming with information about northern BC and can help you plan the rest of your trip throughout the province, and a little beyond. The Pacific Rim Visitor Centre offers a primary arrival and meeting destination for those venturing to the Pacific Rim region on the West Coast of Vancouver Island. Immediately following your drive over the Pacific Rim Highway (Hwy 4) from Port Alberni, you will reach our headquarters at the Junction between Ucluelet and Tofino. Our wheelchair accessible facilities offer a staffed Visitor Information Centre, a Parks Canada center, large maps of the region, secure garbage and recycling boxes, public restrooms and plentiful parking for both RV’s and regular vehicles. Our professional, highly trained staff can help you make the most of your time in Chilliwack and help you plan your journey throughout British Columbia and beyond. We are located right off of Highway #1 and have a lovely rest stop, clean bathrooms, outdoor picnic area and free wifi on location. Visit our 17′ Sto:lo welcome figures hand carved on location in celebration of Canada 150. At Delta’s Official Visitor Centre, we can help you with Tourism advice and information on attractions, accommodation and restaurants in Delta and the surrounding region, Greater Vancouver and throughout BC; Free travel planners, road maps, fishing, golf and wine guides, birding information and cycling maps. We are the official Visitor Centre for Nanaimo. We would love to help you #ExploreNanaimo. Washrooms, wifi, off-leash dog park and small gift shop. Come let us show you how to #ExploreNanaimo! The Greenwood Visitor Centre & Museum offer a wide range of provincial, regional & local publications. A self-guided Heritage Walking Tour, Phoenix Interpretive Forest Driving Tour and many maps are available. The Museum features our mining history, Japanese Internment gallery & other interesting displays. Our gift shop includes local Japanese art, rocks, minerals, jewellery, cards & books. A guided tour of our 1903 BC Supreme Courthouse is popular with our visitors. Stained glass windows depict the 7 provinces in the confederation of Canada in 1902. Our knowledgeable and friendly staff look forward to giving our visitors a warm welcome to Canada’s Smallest Incorporated City. We are the official Visitor Centre for Dawson Creek. We would love to help you. Maps, directions, brochures, souvenirs, gift shop, accessible washrooms and wifi. Come let our trained and friendly staff help you plan your stay in Dawson Creek and your trip up the Alaska Highway. A must stop when visiting the Stewart area. Our friendly knowledgeable staff can provide you with detailed information on all local attractions. Bear viewing, self-guided auto tour to the Salmon Glacier, hiking trails and requirements for crossing the border to visit our Alaskan neighbours. Spend time browsing in our centre that is well-stocked with local, regional and provincial materials. We are the Official Tourism Vernon Visitor Centre. Whether you’re a local or a visitor, here for a day, a weekend, or the best time of your life, you’ll be amazed at what Vernon has to offer. Let us help plan your perfect Vernon BC experience! At our location we offer a gift shop, sanitation dump station, picnic area, and ample parking. We are a pet-friendly so please bring your furry, feathered, and fabulous animal friends!